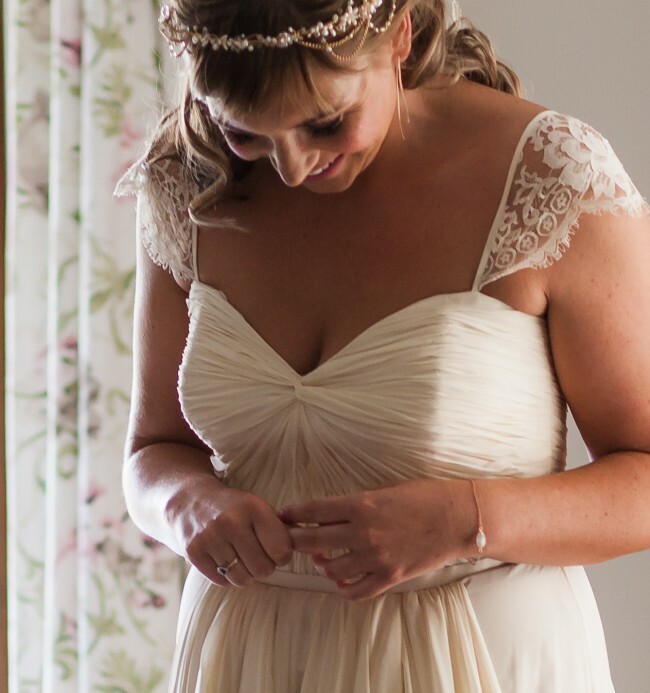 Description from Elbeth: Deborah’s dream wedding dress was a Grecian-styled gown that was soft and feminine. Chantilly lace cap sleevelets, a ruched sweetheart bodice and a string of fabric-covered buttons – these are just the details that add elegance and femininity. But the gown’s real ode to Greece is found in the draped ivory cream chiffon that gathers at the waist and spills down the front and back of the gown. Add a satin ribbon belt, and you have a dress as statuesque and regal as the goddesses of old!